I’m feeling more need to respect convergence than I did 20 years ago. 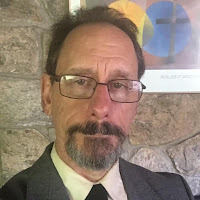 Then I thought of truth as rather an empty notion, but I never imagined that it would be replaced by truthiness, which Stephen Colbert introduced. 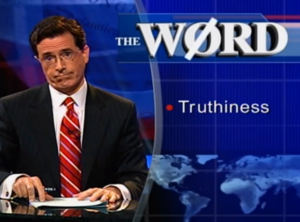 Truthiness is “truth that comes from the gut, not books” or: “the quality of preferring concepts or facts one wishes to be true, rather than concepts or facts known to be true.” Colbert the character extolled going with your gut, ignoring facts, evidence, serious inquiry, and published authority. Celebrating diverse perspectives is important – but we also need respect for facts – for the convergence of thoughtful people, carefully examining the evidence and coming to consensus on what it means. Truth and trust have a similar etymology – both deriving from a root that means “be firm, solid, steadfast.” What’s true is what’s worthy of trusting. In our divided times, we’ve lost truth – it’s been replaced by truthiness – and we’ve lost truth because we lost trust. We don’t trust normal professional journalists, so we turn to sources even less trustworthy who spin tales about a deep state at work. We don’t trust scientists, so we turn to websites and social media who tell us what we’d rather believe about climate change. We’ve lost respect for facts because we’ve lost trust in other people – the people whose considered consensus gave us, at least, provisional facts. But – good people – despair not. This view of our ills is – well – a part of the elephant. It’s the part that our hands are on when we take in the national political scene. The bleak trench warfare of national politics, however, obscures what else is going on. At more local levels, good work is happening. And apparently, they aren’t just fooling themselves. James Fallows, writing an extensive piece this week for Atlantic, finds that local progress is real and widespread. He finds that America is remaking itself, for the better, except at the national level. Trust in civic governance at the local level is high. Immigration – so despised in national politics – is really fairly calmly absorbed in the placed where immigrants actually show up. This makes sense. Truth depends on trust, and we trust people when we see them face to face and have the chance to get to know them. It’s in gatherings – like this one, as I’ve said before – where we get out of our house and meet some other people – that are our salvation. If you seek the truth, you are sitting in its midst. It’s not "somewhere over the rainbow." 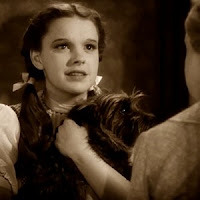 It is, as Dorothy realized: right here in this home. This is part 3 of 3 of "Truth?" Every Departure from Routine . . .